As more vehicles are venturing out onto British roads each year, health and safety precautions are becoming of paramount importance across all industries. On 20 miles per hour roads, 81% of car drivers exceed the speed limit, with 44% of these exceeding 25 miles per hour. Similarly on 30 miles per hour roads in built-up towns and cities, 53% of car drivers exceed 30mph, with 19% of drivers exceeding 35mph, leading to local communities expecting this trend is set to continue as the population grows at an alarming rate. Combatting these statistics to make British roads a safer place, Surrey-based Messagemaker Displays, a subdivision of the Stocksigns Group has developed a range of electronic speed reduction safety signs which have been installed on numerous roads outside schools across Wales. 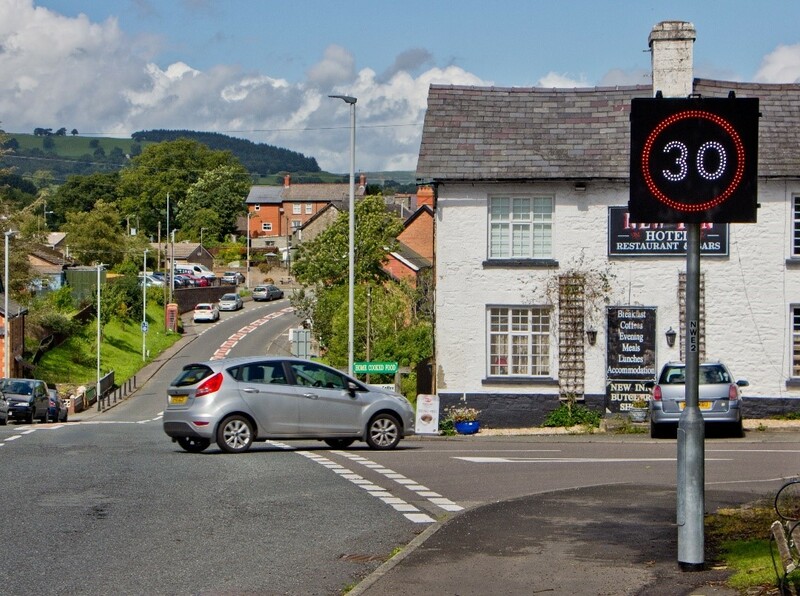 Following a pledge by the Welsh Traffic Minister, Messagemaker Displays rose to the challenge to supply remote programmable speed reduction signs to reduce the speed limit of local roads surrounding schools to 20 miles per hour, during school start and finish times. These LED signs are designed to protect parents and schoolchildren alike in areas of heavy traffic during peak hours. Implementing speed reduction safety signs has a positive influence on the driver’s behaviour when compared to the traditional speed camera. Anecdotally, the introduction of these signs across Wales significantly altered driving behaviour in local communities, as drivers were made more socially aware of their speed and their surroundings for the long-term future. Between the 19th and 25th November 2018, Messagemaker Displays is participating in the national Road Safety Week, which aims to inspire thousands of schools, organisations and communities to act on road safety and promote crucial life-saving messages. As part of raising awareness, Messagemaker Displays are highlighting the importance of road safety signage as part of their newly developed website through their news section. Managing Director of the Stocksigns Group, Danny Adamson said “As sign-specialists in the industry, it is our duty to support the local community by raising awareness for an important cause. Having raised awareness for our national partnered charity, the Royal Society for the Prevention of Accidents (RoSPA), we are re-enforcing the importance of speed signs as the safety of children and families are important to us. We are proud to have had such a positive influence in the local schools across Wales with students and parents alike. To view the latest developments for the signage industry, please visit the Messagemaker Displays website here. For further information, please contact Josh Balmer at josh@famouspublicity.com or Tina Fotherby at tina@famouspublicity.com or call 0333 344 2341. In North Wales alone, there were an estimated 19,891 speeding offenses in 2017, 85% of which were identified by a speed camera, alongside South Wales which saw 37,288 speed offenses, with 88% of this figure being reported to the local police via speed cameras (https://bit.ly/2Q1sBXL). Messagemaker Displays made a significant contribution to combat these figures to alter driving behaviour across Welsh schools. This press release was distributed by ResponseSource Press Release Wire on behalf of Stocksigns Group in the following categories: Men's Interest, Women's Interest & Beauty, Motoring, Transport & Logistics, for more information visit https://pressreleasewire.responsesource.com/about.